Siemens has received an order to supply the key components of a Siharbor shore power supply system for roll-on/roll-off (RoRo) ships in Cuxhaven. As informed, the order includes the complete transformer station as well as the cable feed system. With a power output of 630 kilowatts (kW), the plant – to be owned by the northern German Gesellschaft für Hafeninfrastruktur Niedersachsen Ports (NPorts) – will supply ships with electricity during their laytime. Ships will thus be able to turn off their diesel generators, significantly lowering exhaust gas and noise pollution, according to Siemens. 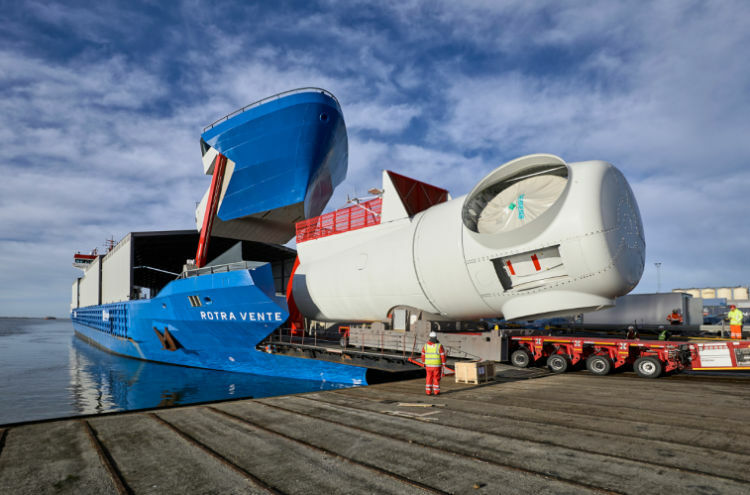 The berth is located next to the new factory for wind turbines operated by Siemens Gamesa, which will be the plant’s main user in the future. Siemens Gamesa will ship wind turbine components to its sister factory in Hull, UK. The Siharbor system is expected to go into operation by April 2018. The plant consists of a transformer station and a cable feed system with a mobile transfer device to the ship. Siemens said it will use a low-voltage converter with a power output of 630 kW for the first time in a shore power connection. The inverter, combined with the control software, adapts the frequency of the local distribution grid to that of the ship electrical system. The scope of supply also includes two transformers. A converter transformer is used to connect the system to the supply grid. The transformer on board the ship ensures electrical isolation between the ship and shore grids. The order also includes the installation of an 8DJH medium-voltage switchgear as well as the Sivacon S8 low-voltage main distribution system. One of the main causes of local air pollution in ports is the combustion of ship fuels for generating electricity during the laytime. The construction of the shore power plant establishes conditions for reducing the emission of air pollutants, such as nitrogen and sulfur oxides and fine dust as well as carbon dioxide. The system will also greatly lower noise emissions, Siemens explained.